If you are looking for somewhere convenient, homelike, spacious, cozy with ensuite, I am looking for you. YOUR ROOM: Your room is very spacious and sunny, wardrobe cabinet and comes completely furnished (king single bed with comfortable mattress, bedside table, chest of draws). 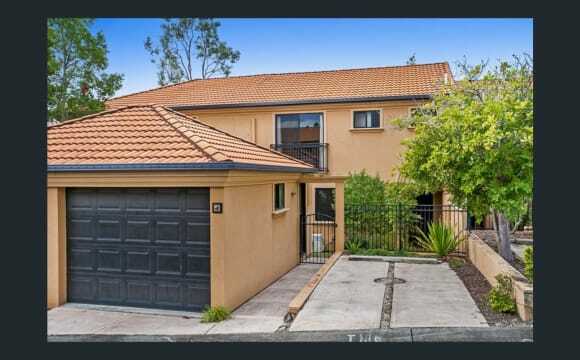 HOUSE: Nice, light and bright this is a lovely 2 stories fully furnished 4 bedroom 3 bathrooms. Comprising of generous living; dinning space, a spacious kitchen with all the appliances (fridge, microwave and dishwasher), air conditioning, laundry area with washing machine. 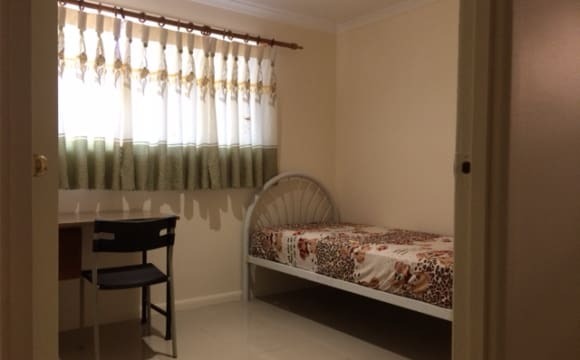 This property is 5 min to the bus stop, 5 min drive to the Shopping centre. 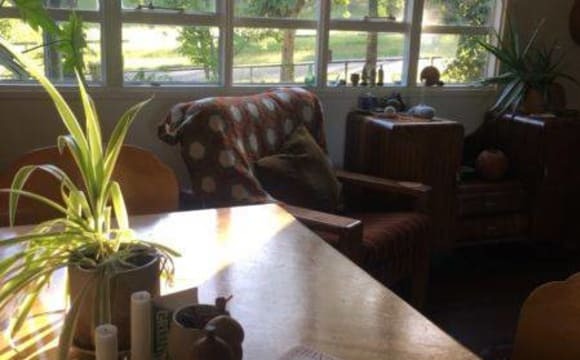 This house is close to transport, shops and great cafes. 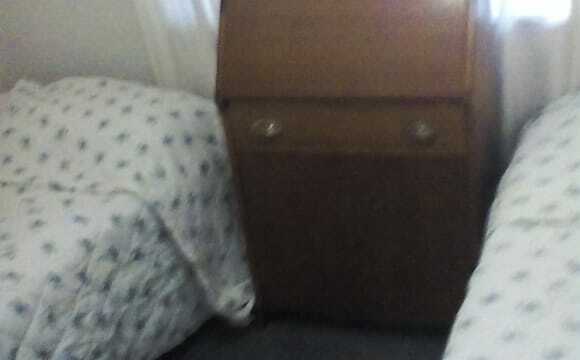 The room currently has two single beds in it but can easily accommodate a queen sized bed. 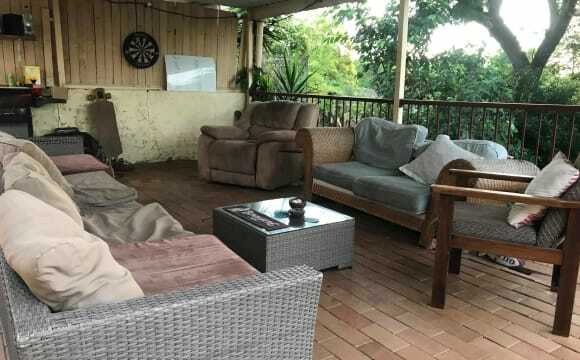 Private living space in shared house for rent Jindalee $250 pw This would suit a couple, two friends or an individual looking for more privacy than a typical share house. Close to buses, Oxley train station within 8 minute drive, shopping centres and some great cafes and the Centenary suburbs restaurants. Quiet house looking for applicants who are professionals, full time employed, and/or studying, respectful and trustworthy. Inclusive is two large bedrooms available on the ground floor, partially furnished. You will have your own kitchen, small bathroom and living/lounge area. Shared laundry and plenty of storage space if needed. In ground pool which is perfect for these hot days. You would be sharing with two people in their 30's. There is a resident cat &amp; dog. The $250 pw includes rent for up to 2 people as well as all bills, including Wifi and lawn maintenance taken care of. Message to view. Roomy house, clean furnished room with aircon and garden window, large mirrored wardrobe. Free housekeeper cleans all common areas weekly, so only have your room to clean, absolutely everything is provided in the way of furnishing and equipment all washing powders even toilet paper freely available. Walk to all amenities or a short ride to Indooroopilly or Mt Ommaney. 2 min to bus station. Lovely river walks and bike rides. Yes there is WiFi. outdoor covered deck. Friendly owners. An old area nice and quiet with plenty of mature trees. Gyms (2) pools (2) sporting clubs and many ethnic restaurants as well as bistros. Close to DFO for a bargain. We are the upstairs tenants in a 2 storey house in a quiet, leafy street in Kenmore. The kitchen has a dishwasher and a gas stove. There is air conditioning in the living areas. 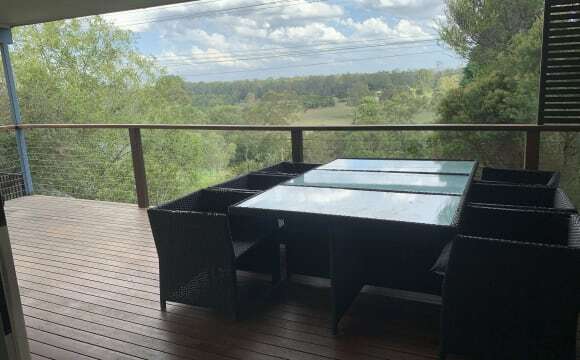 There is a lovely back deck with a leafy outlook. We have an 11 year old dog (a Moodle). The room that is available is small, so would suit someone with minimal furniture. Spacious house in a relaxed leafy street. House has a salt water pool, ceiling fan in bedrooms all with large built in robes. The kitchen has plenty of drawers with a walk in pantry. The house has double living areas downstairs. Outside there is an outdoor furniture and barbecue area. 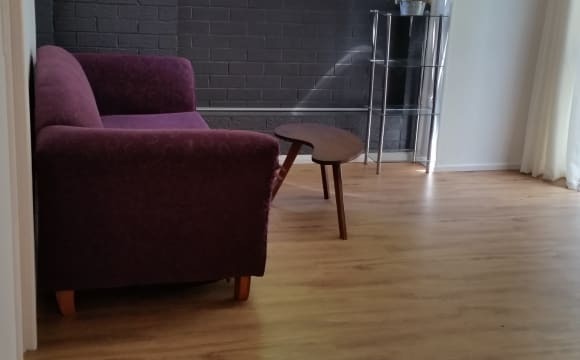 Located 5 mins drive from the shops, Coles, Woolworth, Aldi, Medical Centre, and Kenmore Village and Kenmore Plaza with a variety of shopping options. Street parking available outside and close to bus stop. We have rooms for Rent from $200. FIRST WEEK RENT FREE for 12 month lease. Spacious rooms are available in this modern, fully furnished, clean home located in a peaceful cul-de-sac that overlooks acres of leafy parkland. NBN internet, electricity, gas, water and yard maintenance are all included in the weekly rent. 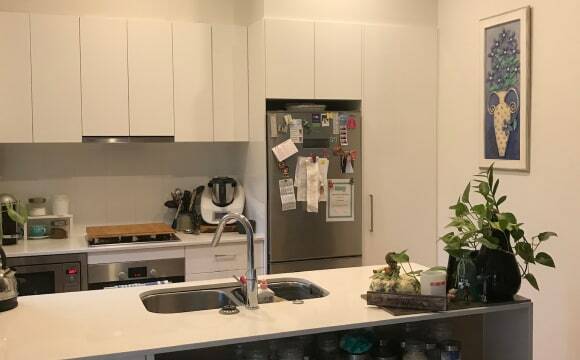 The home is positioned only 200m from the UQ Express (432) bus stop (University of Queensland St Lucia Campus), and has easy access to CBD, Indooroopilly, and Coles at Kenmore Village, Woolworths/Aldi at Kenmore Plaza. 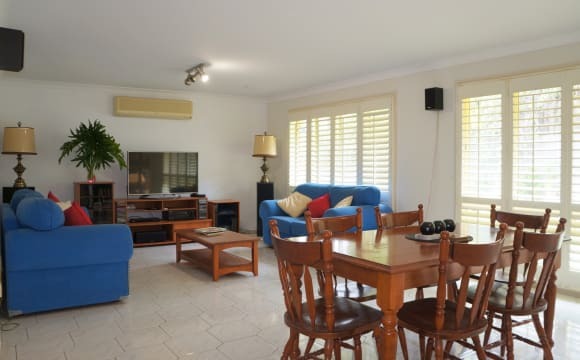 There are two bathrooms, two toilets, laundry with washing machine, and comfortable common areas for relaxing with an entertainment area complete with table tennis table, and a backyard with BBQ ready to cook up a storm. There is plenty of parking available. 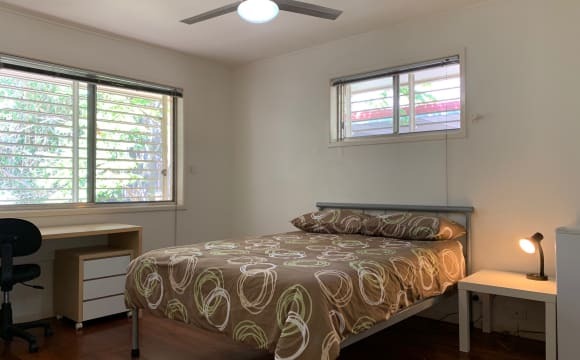 Each bedroom contains: 1 x bed 1 x linen pack (set of sheets, pillow, Hygiene Plus doona, Hygiene Plus mattress protector) 1 x wardrobe 1 x refrigerator 1 x desk 1 x chair 1 x lamp 1 x set of drawers 1 x ceiling fan Single bed room (1 person) from $150 per week. 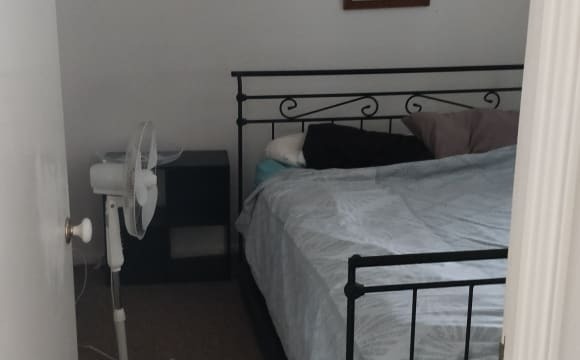 Double bed room (1-2 people) from $200 per week. All bedrooms have polished timber floors, and windows with blinds and fly screens. If this sounds like the right fit for you, we’d love to welcome you to view. Christian home. 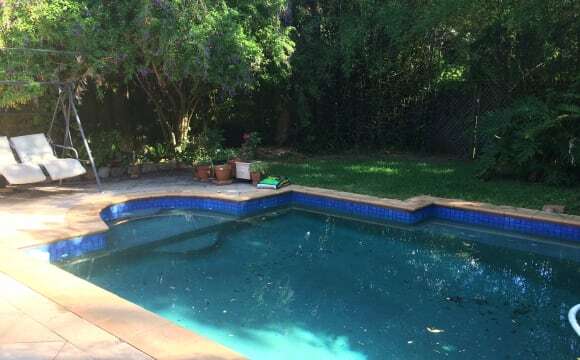 Easy access to public transport, pool, home gym, private garden/back yard. May suit student (eg. UQ or QUT). Quiet, non-party house. No smoking. No pets. WiFi included. We live in a leafy neighbour hood. This is a large house with nice garden and pool. We have a single room, furnished. You would have predominantly the use of your own bathroom and a fridge of your own. The room has air conditioning. There are direct buses to Kelvin Grove QUT campus within reasonable walking distance and buses to University of Queensland. We don't want any people pushing religion. And we do like a sociall Drink.